Early in spring I photographed two recipes from April Bloomfield's new cookbook, A Girl and Her Greens, for the New York Times. I like that the recipes from this book are veggie based but not all are strictly vegetarian. 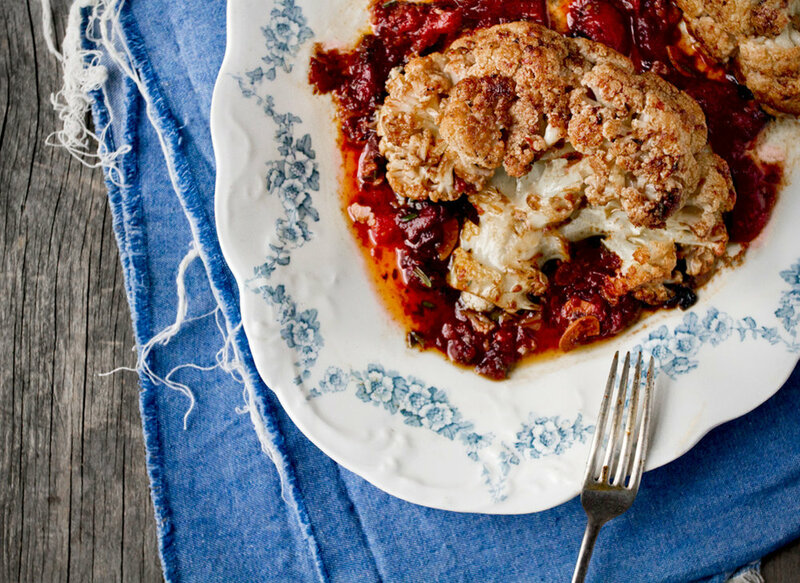 For example, April uses anchovies to give her whole pot-roasted cauliflower (pictured below) a lift. She has a refreshing take on cooking with vegetables that I very much appreciate. 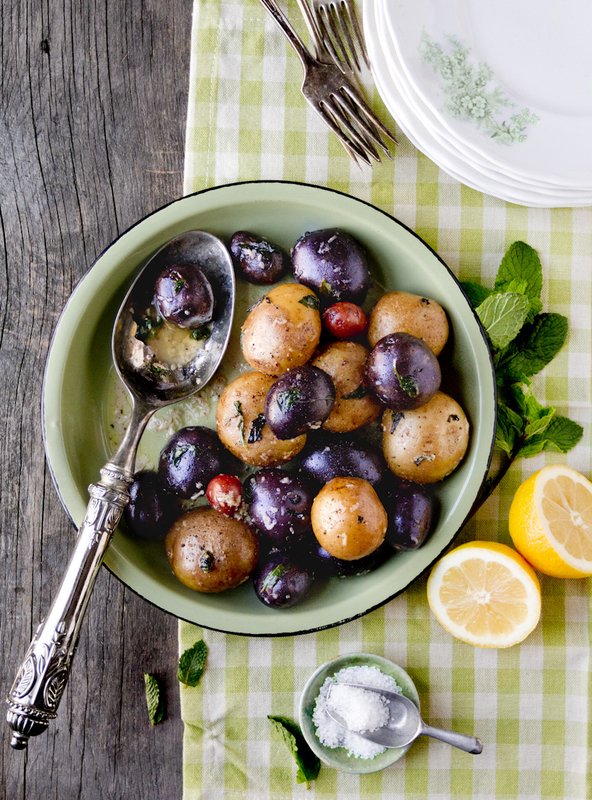 And for the record, these boiled potatoes with butter and mint get top marks in my book! To view the full article featured in the New York Times click here.